Although JW Player comes with built-in analytics, you can only receive in-depth data with a comprehensive service like Google Analytics. It is possible to integrate Google Analytics with all versions of JW Player 8, including the free version. Once everything is set up, you will be able to track and measure all API events. Once you have added this code, enable Google Analytics in your JW Player Dashboard. Under “Players” on the left sidebar, head to “Manage” and choose the player for which you want to enable integration. To configure the trigger to fire a tracking tag, use the same variable as above with a second condition to trigger tracking after the DOMReady event. Set it as a custom event to fire on gtm.dom. Under “Fire this trigger when all these conditions are true,” set “IsJWPlayerAvailable” then “does not equal” and then “undefined.” After you finish this configuration, you will receive the full code to copy and paste. Once all this is set up, all video interactions information will be pushed to the dataLayer and you will be able to send events to Google Analytics. 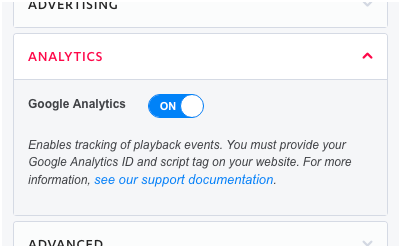 In your Google Analytics account, head to either “Behavior” and then “Events” or to “Real-Time” and then “Events.” You will find all the playback events under “JW Player Video.” When you click on a category, you will be able to view all the event actions of that type captured by the player. You will also see the event label, which is the URL of the video file by default. 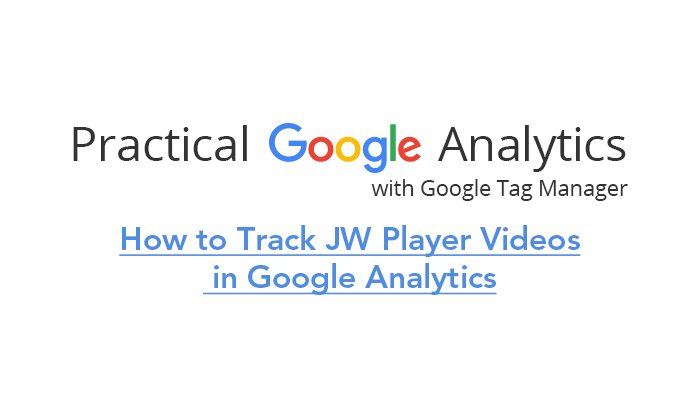 If you are using JW Player, it is worthwhile integrating it with Google Analytics for all the additional information you will receive about users. Plus, it is simple to set up and you can start acting on the data immediately.